"Only one of Partizan's 11 games this term have featured fewer than three goals, and backing Over 2.5 Goals has paid out in each of Spurs last five outings." Serbian table-toppers Partizan Belgrade are having a strong season domestically, having won all five of their league matches. Coach Marko Nikolic has shown that he is happy to give youth a chance, and 17-year-old midfielder Danilo Pantic has been linked with a move to Juventus. 18-year-old attacking midfielder Andrija Zivkovic is not only the youngest player to ever captain Partizan, he's also the youngest player to ever represent Serbia at senior level. Former PSV and Leverkusen winger Danko Lazovic lends the side much-needed experience. Partizan were knocked out of the Champions League on away goals by Bulgarian champions Ludogorets, and they beat Neftchi home and away to secure a place in the Europa League group stage. Star striker Petar Skuletic (eight goals in ten games this season) was one of four players sent off in the second leg against Neftchi (the other three played for Neftchi), and will miss this clash. Having disposed of Cypriot outfit AEL by five goals to one on aggregate, Spurs are now steeling themselves for another Europa League group stage campaign. In each of the past two seasons, the North London giants have sailed through the group stage unbeaten, and this looks to be another straightforward section. 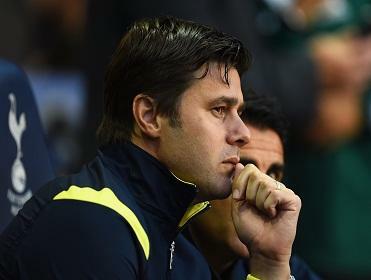 Besiktas will give Mauricio Pochettino's men a stiff test, but I still expect Spurs to win their group, and they are priced at [1.41] in the Group Winner market. Although early optimism has been slightly dampened by a comprehensive home defeat to Liverpool and a frustrating draw at Sunderland (the lead was twice surrendered), there is still excitement about the potential of Spurs under Pochettino. Thus far the Argentine has taken this competition seriously, and he is expected to select another strong line-up in Belgrade, even with Emmanuel Adebayor, Nacer Chadli, Mousa Dembele, Younes Kaboul and Danny Rose all rested and Jan Vertonghen struggling with a thigh problem. Roberto Soldado returns from injury, while recent signings Michel Vorm, Federico Fazio and Benji Stambouli are all vying for a first start. Spurs are [1.72] to win, and although they are the superior side in terms of quality and experience, Partizan are a technically gifted team who are used to winning. Indeed, Nikolic's side are yet to suffer a defeat this term, and [1.72] is just a touch too short to tempt me. If you think Spurs will be held, the draw is a hefty [4.0]. Even though Skuletic is suspended, Partizan still have plenty of bright attacking players, and ten of their 11 games this term have featured three goals or more. That includes three of their four European ties. Spurs have also been involved in plenty of exciting encounters this term - their last five matches in all competitions have contained at least three goals. Both sides are better going forward than they are defensively, and I think backing Over 2.5 Goals is the way to go at [1.91].